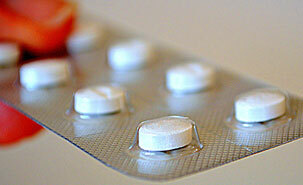 Psychotropic drug prescriptions: therapeutic advances or fads? Drawing a parallel between the dilemmas facing medicine in the nineteenth century and those that currently exist in the field of mental health, the sociologist and historian Johanne Collin, a professor at the Université de Montréal’s Faculty of Pharmacy, believes this increase in prescriptions is partly explained by the therapeutic reasoning of physicians. “There is an increase in the number of people who receive prescriptions for psychotropic drugs and a growing tendency to prescribe several psychotropic drugs to the same patient. More and more children, adolescents, and young adults are taking psychotropic medications and are increasingly prescribed more than one psychotropic medication at a time,” Collin said. Many theories could be advanced to explain this phenomenon: physicians’ lack of knowledge, the influence of the pharmaceutical industry, patient demands or even a possible “fashion factor” when new drugs are marketed. “While we cannot exclude external factors when explaining the prescription increase, we must also take into account the therapeutic reasoning of physicians, who do not prescribe drugs solely under the influence of external factors,” Collin explained. Drawing on a genealogy of the prescribing practices of physicians in the field of mental health that she has prepared, Collin shows that there are tensions in clinical reasoning today that already existed in the nineteenth century, between patient-specific considerations and the universality of disease and treatments. She recalls that for much of the nineteenth century, physicians based their diagnostic and therapeutic approach on the specificity of patients, and not diseases. In other words, they considered patients unique, whatever their disease, and as such, their treatments were “tailor-made.” For Collin, the parallel with psychiatry since the mid-twentieth century is striking. “The psychoanalytical approach that dominated in the mid-twentieth century postulated that what occurred in the minds of patients needed to be addressed in terms of their specificity and experience. Psychiatry was thus dominated by the primacy of patient specificity. Since the rise of modern psychopharmacology and the discovery of the first antidepressants and antipsychotics, we now assume that what occurs in the brain is physical and biological—thus going from the specificity of the patient to that of the mental disease, regardless of the patient or the circumstances leading to the onset and course of the disease. The primacy of the universality of mental disease and the standardization of diagnostics and drug treatments has become dominant in mental health,” Collin said. Regarding the treatment of depression today, Collin notes that about 80% of antidepressants are prescribed by family physicians. According to her, their process of reasoning is similar to how their counterparts approached their patients in the nineteenth century in that they mostly take into account the situation of their patients, their difficulties, and their specificity. “We are faced with a social phenomenon in which people visit a doctor because they do not feel well for all sorts of reasons, but it is not necessarily a question of mental illness. The doctors then have a tool before them that can often work, the antidepressant, which has become a sort of panacea. This is another reason for the prescription increase,” says Collins. Psychiatrists, meanwhile, manage more complex disorders, such as autism. Although in this case, prescription practices are based on complex clinical reasoning, Collin shows that the therapeutic strategies of psychiatrists are directed against specific symptoms and not against mental illnesses as separate entities. “As was the case in medicine in the late nineteenth century, psychiatrists prescribe drugs on a one-to-one basis, trying to regulate and counter a variety of physical symptoms with a variety of drugs,” Collin explained. Collin highlights the strong tension between the reality of medical and psychiatric practice, and the reference to the Diagnostic and Statistical Manual of Mental Disorder (DSM). The DSM represents a nomenclature of mental health that establishes criteria for diagnosing mental health problems. Since 1980, successive editions of the DSM have taken less and less account of the patient experience in diagnoses and have lowered the criteria and thresholds for considering that a person has a mental health problem. “On the one hand, there is constant expansion of diagnostic categories in the DSM, which aims to standardize diagnostic and therapeutic practices, and on the other hand, we work with patients whose life experiences are complex. What doctors say is that the DSM does not correspond to real practice. They are caught in the tension between wanting to consider patients as specific individuals, to tailor treatments to them, and the need for standardized practice,” explains Collin. “It seems that the desire for psychiatry based on a kind of universalism is removed from the reality of doctors and psychiatrists, who stress the need for a comprehensive approach involving the bio-psycho-social dimensions of the patient,” she concludes. Johanne Collin published the essay “Universal cures for idiosyncratic illnesses: a genealogy of therapeutic reasoning in the mental health field” in the journal Health on August 18, 2014 (Web version). The study received funding form the Canadian Institutes of Health Research. The University of Montreal is officially known as Université de Montréal. About Johanne Collin: Johanne Collin is a professor at Université de Montréal’s Faculty of Pharmacy. She holds a doctorate in history and completed postdoctoral work in the sociology of health and professions. She directs MÉOS (Équipe de recherche sur le Médicament comme objet social), an interdisciplinary team funded by the FRQSC (Fonds de recherche du Québec sur la société et la culture) and affiliated with the Université de Montréal. MÉOS brings together researchers and students from a variety of disciplines in the humanities and social sciences (sociology, history, anthropology) and in public health. Johanne Collin is not available for interview.